This healthy Christmas turkey is so tender and moist and tastes so great that, I’m sure your whole family will enjoy and be thanking you by the end of the day. Enjoy this turkey on Christmas or any occasion. Wash turkey in cold water. Pat turkey dry with paper towels. Spread salt inside the turkey and out. Sprinkle garlic powder, onion powder, pepper, and paprika inside the turkey. Stuff some of the rosemary under the skin. Cut butter in cubes and stuff under skin. Put remaining rosemary in cavity of turkey. 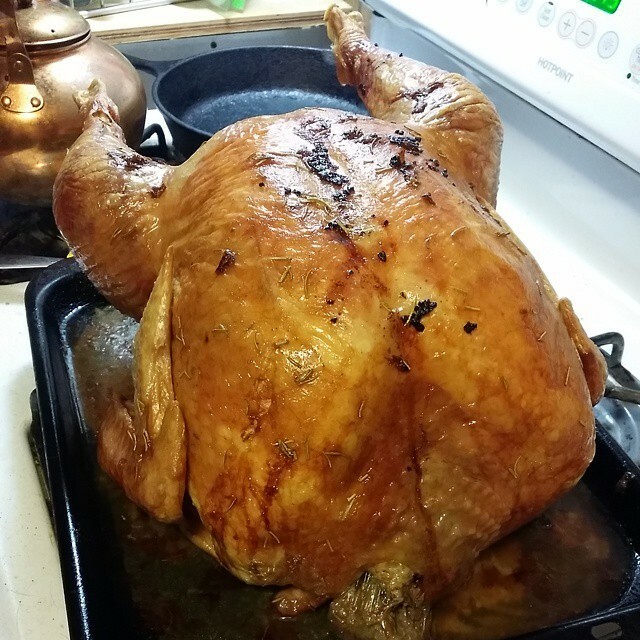 Lay turkey on its back in a baking pan. Cover and bake at 250 degrees for 4 to 10 hours. Warning: baking time varies depending on the size of the turkey.